Impressions created by using these cylinders have been rated high for accuracy. Standard materials used as the base for these cylinders have ensured defect-free operations in sheet-fed and offset printing. 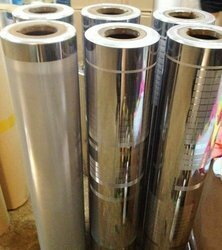 Our company has gained name and fame in presenting Lenticular Engraved Cylinder. We manufacture Copper Shafted Base for Engraving Cylinders, which are offered to our clients all across the nation. These Copper Shafted Base for Engraving Cylinders are manufactured from raw material procured from reliable vendors. We manufacture all products as per client's specification & requirements.